3) “I am a graduate of the Wipro Digital Academy. The training at the academy is very different from the conventional classroom-training programs, as it is not just a lecture-based curriculum. Instead, we are given a problem and we have to self-study the technologies needed to solve it. The mentors also guided us in developing a robust, scalable and optimum solution. 4) “I had the wonderful opportunity to be a part of the first batch of Full Stack developer training at the Wipro Digital Academy. I was then just 4 months into my professional career as a software developer. I grasped a lot of skills and technologies at the academy, which would have taken me a long time to acquire otherwise. NASSCOM is the leading think-tank for the technology Industry in India. NASSCOM Research is persistently answering questions, generating insights, and driving thought leadership for today’s business leaders and entrepreneurs to strengthen India’s position as a hub for digital technologies and innovation. 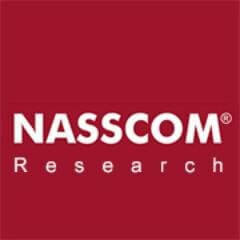 Backed by a robust primary research centric methodology, proprietary analytical tools and processes, and partnerships with best-of-breed companies in various areas of business, technology and strategic research and consulting, NASSCOM research is currently the most credible technology research organization in India.